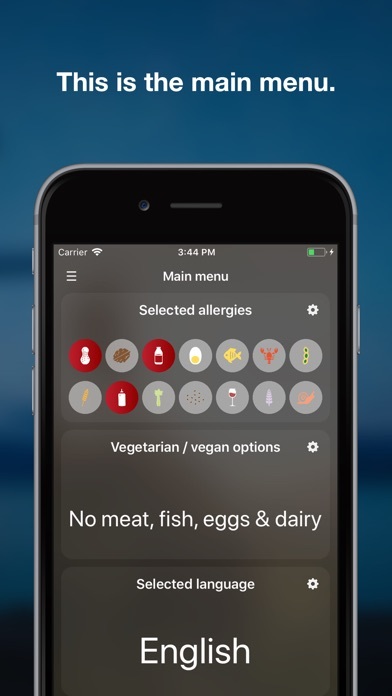 Allert is the food allergy app for travelers. Having a food allergy is a reason for many people not to travel abroad. After all, how are you going to tell people about your situation when you don't speak the local language? Allert assists you in solving this problem. 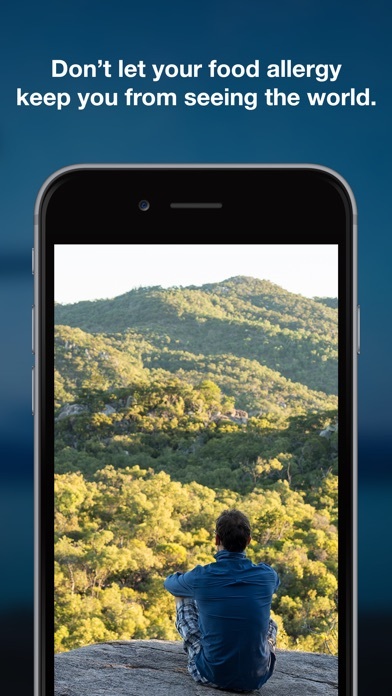 ▶ FEATURES ● Works everywhere; no network, data, or WiFi required. 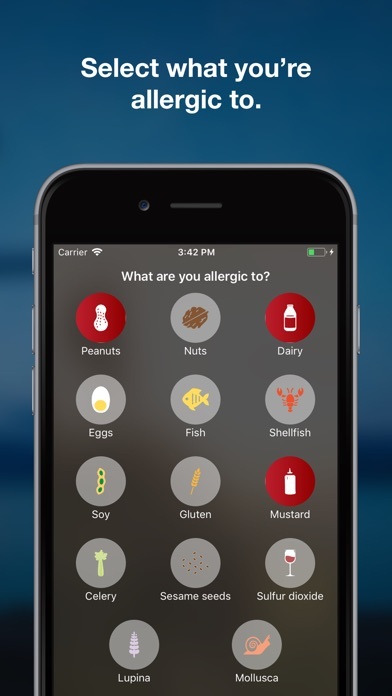 ● Allert's 14 supported allergies cover 95% of all food allergy cases. ● Allergy list: Peanuts, Tree Nuts, Dairy, Eggs, Fish, Shellfish, Soy, Gluten, Mustard, Celery, Sesame Seeds, Sulfur Dioxide, Lupine, and Mollusca. 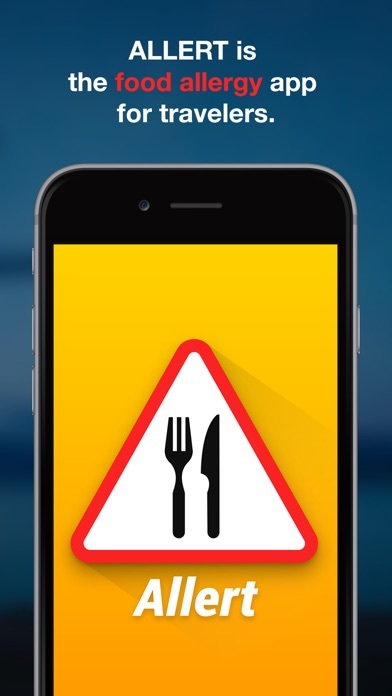 ● 44 supported languages allow you to communicate your dietary needs in almost every country in the world. ● Language list: Arabic, Bengali, Burmese, Catalan, Chinese Simplified, Chinese Traditional, Croatian, Danish, Dutch, English, Finnish, French, German, Greek, Hebrew, Hindi, Hungarian, Indonesian, Italian, Japanese, Javanese, Kannada, Khmer, Korean, Malay, Malayalam, Maori, Marathi, Nepali, Norwegian, Polish, Portuguese, Russian, Spanish, Swedish, Tagalog, Tamil, Telugu, Thai, Turkish, Urdu, Vietnamese. ● Are you following a vegetarian or vegan diet? Allert has you covered with no less than five different vegetarian lifestyle choices to display alongside the allergy warning. 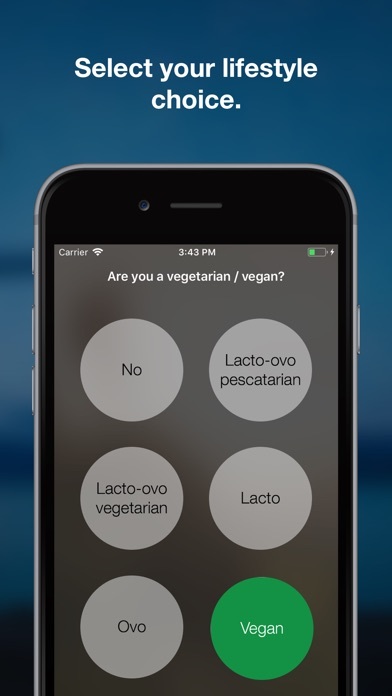 ● Lifestyle diet list: Lacto-Ovo Pescatarian, Lacto-Ovo vegetarian, Lacto Vegetarian, Ovo Vegetarian, Vegan. 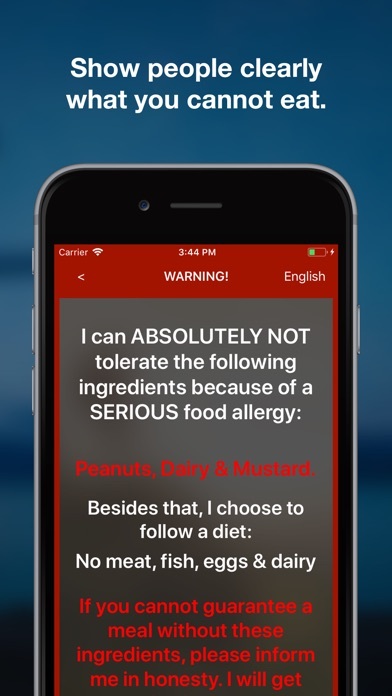 ● Allert has a section filled with useful tips and advice to deal with your food allergies during your travels. 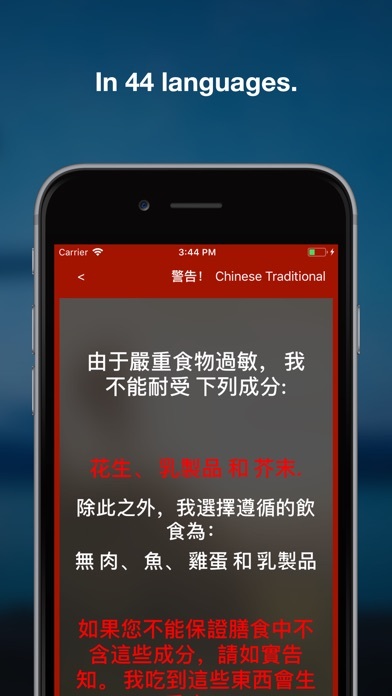 ▶ BACKGROUND The translations provided in this app were done by native speakers from around the world. All translations have been at least triple-checked by at least two different people. No machine translations here. A very basic pre-release version of Allert has been rigorously field-tested across the globe by one of the members of the development team, who is severely allergic to dairy and peanuts. After visiting eight countries with languages and alphabets foreign to him, he arrived back home alive and well. The app got positive responses and compliments from locals on top of that, which was our cue to kickstart the development of Allert and turn it into an actual app. After more than two years of hard work, it is finally done! We sincerely hope our application will help you to travel wherever you need and want. The world is an interesting place; it would be a shame if you didn't see some of it because of your food allergies. Keep an eye on our website. We have big plans for it in the future: https://allertapp.com ▶ VERSION INFORMATION 1.0.1. Initial release with a little polish.